This fun decoration is the ultimate eco-friendly piece! 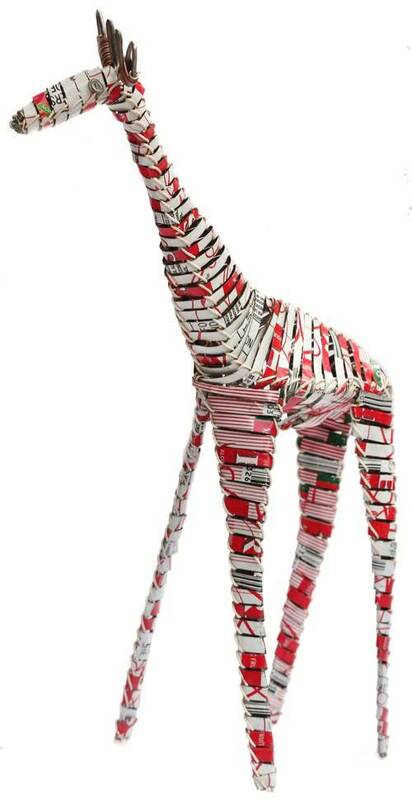 It is handmade in Kenya from recycled aluminum cans and bound with unused telephone wire. Stands approximately 14 inches tall. Colors will vary.